"Divorce can be complex where there are children or assets"
Although the process for divorce is well established, for marriages with young children or long standing marriages with substantial assets it can be more complex and difficult. In particular the ancillary relief process to divide assets and pensions after divorce can take a considerable amount of time to resolve. The current environment for pensions on divorce is a result of 30 years of evolution of legislation and case law in the United Kingdom. There have been significant changes with earmarking on 1 July 1996 but in particular pension sharing on 1 December 2000 where the pension can now be shared to achieve a clean break. Other changes to ancillary relief proceedings were introduced from 5 June 2000 to give the courts more control of the process to divide matrimonial assets and reduce the cost of the proceedings as the step-by-step guide shows. Also in 2000, the House of Lords ruled that when the value of the matrimonial assets on divorce is significant, an equal division should be the starting point for the courts. New financial services legislation from 1 December 2001 has meant there is now a clear distinction between the activities of exempt professional firms such as the majority of family lawyers and those firms regulated by the Financial Services Authority such as independent financial advisers (IFA) to give advice on regulated activity such as pensions on divorce. For divorce, judicial separation and nullity of marriage the core legislation can be found in the Matrimonial Causes 1973 (MCA 73). Of particular concern for the couple will be the division of assets and this can be found in section 25 of the Act. In order to resolve the matrimonial assets the court will have regard to achieving a clean break between the parties as well as regard for all the circumstances of the case. Although the court has been able to consider the pension arrangements of the parties, the only solution under the MCA 73 has been offsetting that will usually leave the former spouse with no pension. The Social Security Act 1973 (SSA 73) was being implemented at the same time and this saw a significant improvement in the scheme members pension rights. Prior to the SSA 73 the member had no statutory rights to benefits from an employers pension scheme on leaving service early. However, the SSA 73 marked the beginning of preserved benefits and subsequent legislation has continued to increase the statutory benefits from defined benefit schemes. The first significant attempt to allow the former spouse a statutory method to acquire pension rights at retirement was the introduction of earmarking in the Pensions Act 1995 and this was achieved by inserting new sections in the Matrimonial Causes 1973. It was realised that earmarking was not a satisfactory solution and section 16 of the Family Law Act 1996 (FLA 96) allowed for the concept of pension splitting. It was not until the Welfare Reform and Pensions Act 1999 (WRPA 99) implemented pension sharing from 1 December 2000 that a clean break was achieved other than offsetting and the former spouse can now have their own retirement benefits but only for cases of divorce or nullity of marriage. To value the retirement benefits on divorce the WRPA 99 adopted the principles in the Pensions Schemes Act 1993 (PSA 93) that sets out the calculation of the cash equivalent transfer value (CETV) used in relation to early leavers. It also amended the MCA 73 to allow for pension sharing and the PSA 93 to allow for safeguarded rights. Significant changes have also been made to the advice that can be given by solicitors when dealing with investments such as pensions on divorce. Effective from 30 November 2001, the Financial Services and Markets Act 2000 (FSMA) seeks to differentiate between the advice given by a solicitor and advice given by an independent financial adviser. Therefore the Financial Services Authority (FSA) will regulate any firm such as solicitors and accountants that wish to advise on mainstream financial activity. Firms not giving financial advice on activities defined in the Regulated Activities Order (RAO) as specified by HM Treasury will be classified as exempt professional firms and regulated by a designated professional body (DPB). As a result of the FSA announcing on 14 January 2002 to abolish polarisation, all financial advisers will have to choose their designation and method of distribution being a tied agent, distributor, authorised financial adviser (AFA) and independent financial adviser. Recent case law has made significant changes to the approach of the court when ruling on the division of assets on divorce. The MCA 73 directs the court to have regard to the circumstances of the case and in most cases the court must satisfy the needs of the parties from limited resources. This has placed an emphasis on the needs of the parties in all cases and has meant that where the assets are substantial, the former spouse has been awarded benefits that are a fraction of the value of the matrimonial assets. However the landmark case of White v White (2000) has changed the approach with the House of Lords ruling that there can no longer be gender discrimination when determining the allocation of ancillary relief and the Judge should start as a general rule with an equal division of the matrimonial assets. 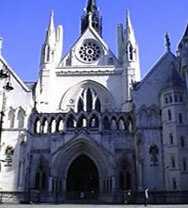 Pension law in the UK has been influenced by judgments from the European Court of Justice (ECJ). For example, article 119 of the Treaty of Rome concerning equal pay for equal work was extended to apply to occupational pension schemes after the case of Barber v Guardian Royal Exchange (1990). This case also influenced the ECJ equalisation rules that have resulted in the equalisation of retirement ages for men and women in the UK and this was implemented through the Pensions Act 1995. In England and Wales the courts regard the divorce as of primary importance and the division of the matrimonial assets as being ancillary. This means that divorce proceedings will often be concluded before that of ancillary relief proceedings. In general there are three stages, firstly the legal ending of the marriage, secondly the arrangements for children and thirdly ancillary relief. The step-by-step guide shows that the initial stage requires the petitioner to apply to the court for a decree nisi although they must be married for more than one year and show that the marriage has irretrievably broken down. After a period of time the petitioner can apply for a decree absolute and once granted the divorce is final and the marriage ends. Alternatively, the petitioner could apply for a decree of judicial separation and this means the couple will still be married but legally not living together. Judicial separation can be applied for within twelve months of marriage but the petitioner must show that the marriage has irretrievably broken down. In certain circumstances the marriage can be annulled by applying for a decree of nullity. This can be done within twelve months of marriage but the petitioner must prove that the partner has broken one of a specified number of conditions. On divorce the court will be concerned about the arrangements for children. At the time of the divorce petition the court will expect a statement of arrangement to be filed showing the proposed arrangements to be made by the petitioner. The future procedure for divorce will change significantly when the Family Law Act 1996 (FLA 96) is fully implemented, changing the need to show the marriage has irretrievably broken down to one of no fault divorce. It is usual for divorce proceedings to be concluded quickly however resolving the division of the matrimonial assets including the retirement benefits is likely to take a longer period of time. Under the Matrimonial Causes Act 1973 (MCA 73) the courts are directed to have regard to a clean break between the parties concerning ancillary relief. This has meant that offsetting has been the preferred method of dividing the assets, including the retirement benefits. Often it is not possible to achieve a clean break as the former spouse (usually the wife) may not have sufficient income to support herself and therefore requires an order for maintenance. For pension arrangements, earmarking future retirement benefits does not create a clean break and this is the main reason why it is not regularly applied whereas pension sharing creates two separate pension arrangements and this results in a clean break. On divorce the court decisions under section 25 of the MCA 73 will have regard for all circumstances of the case. In most cases the assets are limited and the court has placed an emphasis on the needs of the parties over other factors, in particular to ensure that the wife and children have a roof over their heads. Although the powers of the court are extensive, the court will work with the parties to achieve a mutual agreement. Only when agreement cannot be reached will the court use its powers to divide the matrimonial assets in any way it feels is satisfactory. This will include the power to grant an earmarking order or pension sharing order against the members pension rights. The approach to ancillary relief proceedings was changed from 5 June 2000 to reduce the associated costs of divorce and to give the court more control. By applying for a financial order the applicant will go through three stages starting with the first appointment, then the financial dispute resolution (FDR) appointment and concluding with the final hearing. The whole process is shown by the step-by-step guide detail. At any stage of these proceedings both parties are encouraged to make an offer to settle. Before the first appointment the court will give the parties time to collect information about the matrimonial assets as well as from the provider of any pension arrangements. At the first appointment the Judge will review the case with both parties and if more information is required or agreement is not reached, the case will progress to the FDR appointment. At the financial dispute resolution appointment the parties will discuss and negotiate a final settlement with their solicitors and the Judge. Both parties must be open and without reserve and this should reduce any conflict. If agreement cannot be reached, the Judge will set a date for the final hearing where the court will use its powers to divide the assets by granting the appropriate order. Where the parties are involved in ancillary relief proceedings, professional advice from a solicitor should be sought before making or receiving any offer to settle. On a day-to-day basis a solicitor will also advise on the influence that case law has on current rulings, this being an insight that cannot be taken from the rules in the MCA 73. Where there are complex pension arrangements, expert evidence from a pensions expert may be required to determine the fair value for the retirement benefits as a suitably adjusted CETV that will be higher than the cash equivalent transfer value (CETV) produced by the provider. Since pension sharing was introduced on 1 December 2000, it has been possible to divide the retirement benefits on divorce and achieve a clean break between the parties. This division applies to the majority of all pension arrangements of which the most complex is a defined benefit scheme. Known as an occupational pension scheme but usually called a final salary pension they are offered through employer pensions only. The benefits are based on the years of service and final salary of the scheme member at normal pension age (NPA). Due to the complexity of these arrangements the CETV, that assumes the member is leaving service and this is rarely the case on divorce, will underestimate the value of the members pension rights as it does not consider other pension benefits. It is therefore necessary to consider the use of expert evidence to determine a fair value of the retirement benefits resulting in a fully valued CETV, of which the former spouse is entitled to a percentage. The generous benefits from a final salary pension are often used to attract and retain valued employees of blue chip companies but are also used by the Armed Forces and as public service schemes. In contrast the benefits from a defined contribution scheme are dependent on the contributions made and the investment growth. They can be offered by employers but are the only option for individuals that have no choice but establish their own private pensions. These pensions are much easier to value than a final salary pension as the provider usually knows the size of the fund on a daily basis. The parties can use pension sharing for state pensions in the form of the state earnings related pension scheme (SERPS) but not the state basic pension. Of the financial orders, a pension sharing order is likely to be the most common as it achieves a clean break whereas an earmarking order will continue to create a link between the parties until retirement age. Depending on the scheme rules, the pension credit allocated to the former spouse due to a pension sharing order can be applied as an internal or external transfer but will always belong to the former spouse. At normal pension age the former spouse will have a choice of pensions in retirement, being able to select a defined income for security or a flexible income for greater investment freedom for the future. For pensions after divorce when the decree absolute is granted and the pension sharing order implemented, no further variation will be possible. This is in contrast to an earmarking order that can be varied in the future depending on the circumstances of the parties. Under the WRPA 99 the valuation approach for retirement benefits is the CETV, based in principle on the PSA 93 calculation of the CETV in the context of early leavers. The CETV method of valuing pension arrangements begins when the court sets the date for the first appointment during ancillary relief proceedings. Although the cash equivalent transfer value may be appropriate for a money purchase scheme such as stakeholder pensions, for more complex arrangements like a final salary pension the CETV assumption that the member leaves service will underestimate the pension value. In these case an adjusted CETV will consider other options to determine a fair value based on the members actual continued service and death in service benefits that represent the former spouses lost rights on divorce. One method to use is the past service reserve that is used by the pension scheme to anticipate a members future rise in salary due to career progression. Also, the fund value approach will determine whether the scheme is underfunded or in surplus if it were wound up at that time. Once the parties, through their solicitors, have agreed on a percentage split of the members pension rights the benefits to the former spouse and the members reduced benefits can be determined. In the case of pension sharing the reduced benefits to the member as a pension debit is straightforward for a money purchase scheme, as the fund value will be reduced by pension credit percentage paid to the former spouse. However, for a final salary pension the calculation is complex and involves the creation of a negative deferred pension for the member to be applied by the provider at the normal pension age. Where the pension arrangements are significant to the other matrimonial assets and complex as with a final salary pension, the cash equivalent transfer value from the provider will not reflect the fair value of these retirement benefits. This is important because after applying orders, in the context of pension sharing it will not be possible to vary this order in the future. A pension audit will use the CETV Method as the basis of the valuation and then determine a suitably adjusted CETV representing the fair value of benefits. This will allow the parties to come to an agreement for the percentage share from information based on using the correct valuation methodology for a final salary pension. The court procedure rules require the court to ensure the parties are on an equal footing and therefore may require the parties to use expert evidence to value a complex pension arrangement as long as the court is satisfied that the cost is justified as indicated in the step-by-step guide. This would apply to both earmarking and pension sharing and in most cases the court will be satisfied with projections from the provider or an independent financial adviser but not necessarily an actuary. The expert evidence rules give the court the power to decide if expert evidence is required. If after the court has given permission the parties are still unable to come to an agreement over the pensions expert to appoint, the court will use its powers to instruct that evidence be given by a single pensions expert. Under the FSMA the IFA as a pensions expert must follow the financial services rules regarding best advice and to know your client. The new rules of the FSMA require that there is a clear distinction between the activities of exempt professional firms regulated by designated professional bodies (DPB) and the activities of an IFA regulated the FSA. A pensions expert should be able to show they are qualified to give advice, such as have the G60 Pensions or equivalent qualification and be able to demonstrate an understanding of pensions on divorce before conducting a pension audit but in particular giving pension transfer advice. The audit procedures should involve the whole process from pension data collection, data interrogation for accuracy, valuation, initial reporting, follow-up reports and pension transfer options and be conducted by an IFA to ensure that an exempt professional firm, such as a family lawyer, does not advise on any regulated activity. This service should be offered on a fixed fee basis to keep the costs down. The valuation report will be influenced by the needs of the parties but will be based on the CETV from the provider with the calculated CETV adjusted as appropriate representing the fair value and based on past service reserve, fund value, other pension benefits offered by the scheme. The report will also show the actual pension value to be paid to the former spouse and the impact this will have for the members reduced benefits.